The exclusive sponsor of the streaming broadcasts of President-elect Barack Obama’s inauguration speech on top news sites such as ABC, CBS and NBC will be Audi as reported by Autonews.com. In addition to the January 20th streaming broadcasts online, Audi will sponsor other webcasts starting today as they kick off LIVE events at the Lincoln Memorial today. Overall, Audi says the web streaming sponsorship should reach more than 30 million people total. Major kudos for Audi on this one and God Bless America! The hybrid bandwagon is filling up fast as just about every car maker has plans to release a new hybrid model in the next year or two. 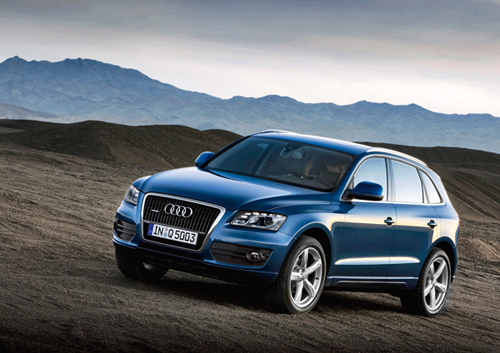 Audi is one of them where they plan on introducing a small SUV dubbed the Audi Q5 Hybrid. It is slated to be ready for the showroom in 2010. Previously Automotive News reported that Audi axed the Q7 hybrid along with the Q5 but now they have confirmed through head of the powertrain development for the Volkswagen Group,, Wolfgan Hatz, that they will be offering the Audi Q5 hybrid in the USA in late 2010. In addition to this good news the Audi Q5 Hybrid will be first introduced in the USA first and then a possibility of it being sold in Europe depending on the success in the States. Okay, before you say anything… I already know the video is not in English. If you pay attention close enough you can almost tell what they are staying in the video. Nonetheless, if you get past the German you will really enjoy an awesome video of the new Audi R8 V10 5.2 FSI Quattro getting thrown around. 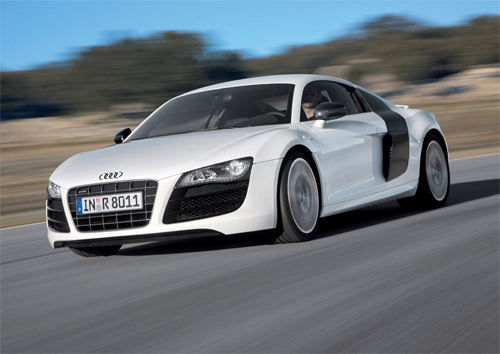 What Does Audi and Identity Theft Have in Common? Nothing really, except a couple of commercials to promote the new 2009 Audi Q5 which happens to attack Lexus. We have to slightly agree with Audi’s newest commercials when they have a street lined full of Lexus RX’s all the same color. That’s about right when you venture down the streets of a US suburb. Make sure it is one that does not have too many foreclosed houses and you may run out of hands to count the number of Lexus RX’s that you see. Yes, Audi has brought to our attention as to the mass over-population of certain cars but will we really ever see as many Audi Q5’s on the road as the Lexus RX’s? Probably not, unless this stinky economy turns around abruptly and I just do not see that happening any time soon.